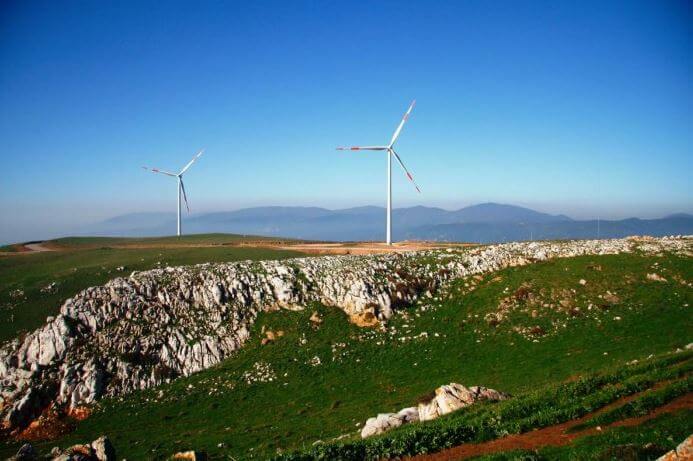 The project consists of 5 turbines, of 3 MW each in Ayyildiz Hill near the town of Bandirma in the province of Balikesir, Northwest of Turkey. The purpose of the project is to contribute to the national economy and provide a portion of growing electricity demand with renewable energy from wind power. The project reduces emissions of greenhouse gases, avoiding the generation of carbon dioxide due to the production of electricity using fossil fuels. The average annual generated energy of 51.32 GWh of renewable energy, which allows a reduction in emissions of around 30,997 tCO2e per annum. Land use, grazing or agricultural activities will not be affected negatively by the project activity. Decrease in the ecological damage. The project prevents the establishment of any other activity like stone mining in the project site and thus helps protecting the grassland present at the project site. Contributes to increasing local employment during both the construction and operation of the project. About 50 people will be employed during construction stage. Also, about 7 people will be employed permanently during the operating life time of the plant. The local communities will continue to use the soils for pasture. If the project had not been developed, the lands would have been used for mining or for landfill.